We are a distinguished firm engaged in offering fine quality flavored herb Sage. Having a pungency level of thyme and rosemary, these herbs are consumed with meats, stew, pork, duck, fish and soup. We have founded ourselves as a recognized manufacturer of Sage Herb. We are one of the leading supplier of Sage Herb. We offer our clients a range of Sage that is a flavored herb with same pungency level of rosemary and thyme. This herb has got utility in homeopathy as an antiseptic for gum and mouth infections as well as against excessive perspiration. The Sage herb can be well consumed with stew, meats, pork, fish, duck preparations and soups. We are leading supplier and supply best quality of Sage Herb from south India. Owing to the wide experience in this domain, we are instrumental in offering Sage Leaves to our clients. We are offering Sage Herb. 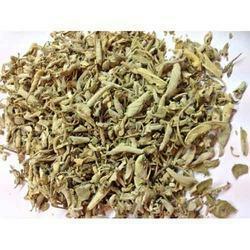 We are one of the well known supplier of Sage Herb. 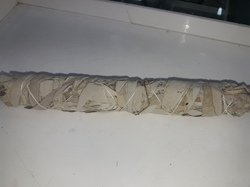 Used for Smudging gets rid of the negative energy in a field such as your home or office. Sage Herb, we are offering to our valuable customers.